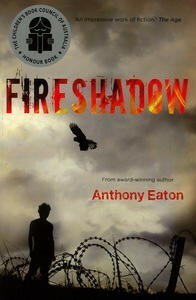 Anthony Eaton began the story with a premise that the biggest battles we fight are the internal ones. We meet Vinnie a teenager who has escaped from his life, camping in a remote wilderness. But he cannot escape his memories, his guilt at surviving the accident that killed his sister – and the possibility that he was at fault. His solitude is broken by another pair of campers, an old man and his granddaughter. Despite his initial resentment, Vinnie is drawn into their world. Erich, the old man, is dying yet is drawn to the remains of a World War II prison camp in the forest. Erich’s history is gradually revealed in parallel with Vinnie’s. At Vinnie’s age, Erich was a young German soldier, a man whose pride was shattered from being a POW interred in an enemy land, a man determined to continue fighting a battle in the camp the only way he could – by defying the guards. Yet the elderly Australian camp-doctor recognises something in Erich as he takes him on as his assistant, and nurtures his medical skills. Eaton adroitly portrays how kindness eventually wears-down Erich’s stoicism and he comes to trust the doctor and his daughter, Alice. But a friendship in a POW camp does not go unnoticed, and Erich soon has other battles to fight. This is a gripping read for Young Adults. Both Vinnie and Erich need to sever themselves from the burden of their own parents’ baggage as both stories reach a climax. Each needs to make a decision to let go of the past and stare-down their own ghosts. This book also portrayed a largely forgotten part of Australian history, that Germans POWs were interred in Australia. First published in 2004, this book was a CBCA Honour Book for older readers. Anthony Eaton has published eleven books for children, young adults and adults.